The Reason I’ve Fallen So Far Behind (343/365 year 3) – Annoyingly Boring? January 10, 2011. I started a new job. I have been working part time evenings since 2006. This past month I took a new position with my employer that is full time days. I have been loving the job and the new hours, but it really has put a crimp in my posting. I am still shooting each day (although the day job has made it a bit harder), but carving out time to sit down, process and post the photos has been more than a chore. This is the shot from my first morning on the new job. 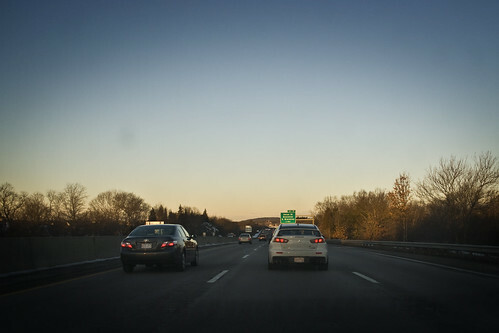 The morning light was a much a change to me as the traffic.